Health Canada issued a statement No Scientific Reason To Consider The Use Of Cellphones Unsafe. Government agencies responsible for compiling and analyzing this body of work — including Health Canada and the World Health Organization — “continue to say that the evidence that is out there that has been reviewed for years and years and years, that there is no demonstrated risk for human health,” said Choma. In Canada, 71 per cent of youth between the ages of 12 and 19 have a cellphone, according to new data compiled by Toronto-based Solutions Research Group. The penetration nears 80 per cent for this age bracket in Toronto and Vancouver, where cells are seen as an essential social tool as well as a matter of safety for parents, according to the research firm specializing in the youth market. Solutions Research Group estimates that among nine- to 12-year-olds, one in four own cellphones. Also, their research shows 70 per cent of mothers with tweens share the cellphone with their kids occasionally for calls, texts or games. Overall, there are 21.5 million Canadian wireless phone subscribers, representing a national wireless penetration rate of 67 per cent. And half of all phone connections in Canada are now wireless, according to the Canadian Wireless Telecommunications Association. A spokesman from that agency, Marc Choma, said these subscribers, including=20 parents of younger user s, need to look at all the evidence about the safety of cellphones rather than cherry-picking a few. According to Columbia University physiology professor Martin Blank, who edited the special issue, the laboratory studies “point to significant interactions” of both power frequency and radio frequency with cellular components, especially DNA. The epidemiological studies “point to increased risk” of developing certain cancers associated with long-term exposure to radio frequency, he said. Dr. Lennart Hardell is among the scientists who contributed to the special edition of the journal. T he oncologist from Sweden’s University Hospital found that after one or more years of cellphone use, there is a 5.2-fold elevated risk of malignant brain tumour in children who begin using mobile phones before the age of 20 years; the odds for other ages was 1.4. “There should be special precaution for children and young persons about the use of mobile phones,” Hardell said in an interview. The findings of 15 studies from health researchers in six different countries, looking at the effects of electromagnetic fields and radio frequency radiation on living cells and on the health of humans, should jolt government agencies into action as a precautionary measure, Dr. David Carpenter, director of the Institute for Health & the Environment at the University at Albany, and one of the co-authors, said in an interview. OTTAWA — An international group of scientists is calling on Canada and other countries to bring in tougher safety standards for cellphone use after a Swedish team found a fivefold elevated risk of malignant brain tumours in children who begin using mobile phones before the age of 20. The plea — and the science underlying it — is published in the forthcoming edition of Pathophysiology, devoted to peer-reviewed research about the biological effects of the global explosion of wireless technologies and devices like cellphones, cordless phones, wireless Internet and cell towers. That afternoon, Hemstock went to the library in Guilford and, with the help of a computer index, spent an hour or so looking up references to electromagnetic fields. He then went to the libraries in Branford and North Branford, to the west of Guilford, and did the same thing. By the end of the afternoon, he had made a list of more than a dozen articles, published in various magazines, medi¬cal journals, and newspapers around the nation, about the association of electromagnetic fields from power lines and other sources with cancer and other diseases. At the same time, he decided to investigate other possible causes of the disease on Meadow Street, such as chemicals being used at the Clinipad Corporation’s factory, on High Street — about a quarter of a mile east of Meadow — which manufactures antiseptic medicinal pads. At about 5:30 P.M., he called Lor¬etta Nelson, who had just returned home from work, and told her about his conversation with the supervisor at Con¬necticut Light & Power, his research at the three libraries, and his decision to investigate the chemicals being used by Clinipad. He then suggested that she get in touch with some of her neighbors on Meadow Street and hold a meet¬ing toward the end of the week so that he could present his findings to them and learn how they might want to proceed. Scientists have used brain scans to read people’s memories and work out where they were as they wandered around a virtual building. The landmark study by British researchers demonstrates that powerful imaging technology is increasingly able to extract our innermost thoughts. 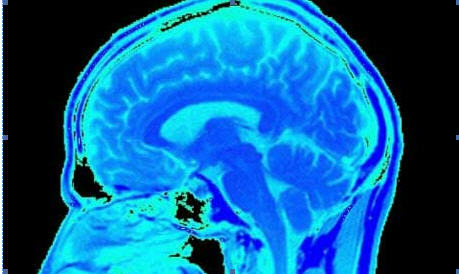 The feat prompted the team to call for an ethical debate on how brain imaging may be used in the future, and what safeguards can be put in place to protect people’s privacy. The study was part of an investigation aimed at learning how memories are created, stored and recalled in a part of the brain called the hippocampus. By understanding the processes at work in the brain, scientists at theWellcome Trust Centre for Neuroimaging at University College Londonhope to get a better grasp of how Alzheimer’s disease and strokes can destroy our memories and find ways to rehabilitate patients. In the study, volunteers donned a virtual reality headset and were asked to make their way between four locations in a virtual building. Throughout the task, their brain activity was monitored using a technique called functional magnetic resonance imaging (fMRI). Eleanor Maguire and Demis Hassabis then used a computer program to look for patterns in the volunteers’ brain activity as they stood on virtual rugs in the four different locations. They found that particular collections of brain cells encoded the person’s location in the virtual world, and they were able to use this to predict where each volunteer was standing. “Remarkably, using this technology, we found we could accurately predict the position of an individual within this virtual environment, solely from the pattern of activity in their hippocampus,” said Maguire. “We could predict what memories a person was recalling, in this case the memory for their location in space,” she added. The study overturns neuroscientists’ assumption that memories of our surroundings are encoded in the brain in an unpredictable way. The latest research suggests that this is not the case, and that the information is stored in our neurons in a very structured way that can be picked up by scanners. “It might be useful to start having those kinds of ethical discussions in the near future in preparation of that,” he added. Previous work in rats identified the hippocampus as a region of the brain that stores spatial memories. But experiments that measured the activity of handfuls of neurons in the animals’ brains suggested there was no predictable pattern in how those memories were stored. The discovery that spatial memories are encoded in a predictable way in our brains will give scientists confidence that other memories might be readable using brain scanners. In the near term, Maguire said the research will shed light on some of the most debilitating neurodegenerative diseases of old age. “By using techniques like this we’re learning more and more about how memories are laid down. If we can understand the processes involved in how you form and store and recollect memories, we can begin to understand how these pathological processes erode memories, and much further down the line, how we might help patients in a rehabilitation context,” she said. In a previous study, Maguire used brain scans to show that a brain region at the rear of the hippocampus known to be involved in learning directions and locations is enlarged in London taxi drivers. When WiFi was first introduced to Glastonbury, it was hailed as a pioneering move to bring the ancient town into the 21st century.But at a heated public meeting on Friday, it was clear many locals thought that, rather than being the ground-breaking wireless internet service it was supposed to be, it was putting public health in jeopardy.The town became the first place in the country to have a wireless internet service introduced across its centre in May. However, dozens of locals claim the hi-tech addition to the historic centre is causing serious health problems for a number of residents and link the illnesses to the six antennae that emit the signals to enable the system.People packed the town hall yesterday for an open meeting organised by Somerset County Council aimed at dispelling myths and reassuring the community that the service was not harmful.